Con-Shield, a penetrating sealer, is a proprietary, hydrolyzed, lithium quartz compound designed to provide waterproofing protection and increase abrasion resistance while hardening and stabilizing a surface that would otherwise be “dusty” or soft. Con-Shield may be used on colored or natural concrete, common brick, plaster, porous limestone, Mexican tile and gypsum products. The appearance of the surface is unaffected and there is no film or coating to be worn away over time. Con-Shield creates a permanent, breathable, yet insoluble surface that can be used as a final coating or as a moisture protection barrier prior to the installation of topical overlays such as Micro-Top™ by Bomanite. Con-Shield works by penetrating and reacting with mineral compounds and/or siliceous materials to create a cementing/gluing effect. This in turn waterproofs, hardens and eliminates most types of efflorescence. 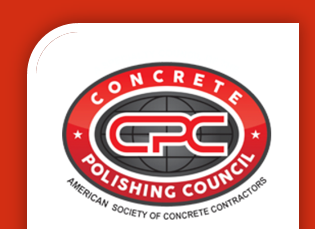 Con-Shield is an excellent pretreatment to cured concrete when applying acrylic sealers and will eliminate the fogging and peeling problems that can occur due to subsurfaced moisture. Available in 1 gallon, 5 gallon and 55 gallon containers. Because Con-Shield is a true penetrating sealer, coverage rates may fluctuate dramatically depending on the porosity of the surface. Three light coats will yield approximately 200 square feet per gallon on normal concrete. Very porous surfaces, such as porous brick and Saltillo tiles, will yield a lower coverage rate, which could range between 75-200 square feet per gallon depending on the number of coats required. Con-Shield will not seal structural cracks, voids or holes in concrete. Existing sealers, curing agents, oils, paints and other similar materials must be removed before Con-Shield can be applied. Con-Shield should not be applied to surfaces below 40 degrees Fahrenheit or above 100 degrees Fahrenheit. Con-Shield can adhere to glazed materials such as metals, glass and ceramic tile. Excess Con-Shield left to dry on the surface may result in a white, scaly or glossy residue that can be difficult to remove and will also prevent bonding of materials applied over it.